Hennen Furniture: Is it Time For a New Mattress? If you are experiencing a loss of sleep, waking up with aches or pain, or wake up still tired, it may be time to shop for a new mattress. Consumer Reports recommends a new mattress if your current one is five to seven years old, or if you are over 40. If it is time for a new mattress, research has shown that people sleep better, suffer less back pain and experience fewer symptoms of stress when sleeping on newer beds. In general, your sleep quality improves if your sleep surface relieves pressure on joints and other areas of the body. The construction of a mattress determines the way it feels. Most stores have a cutaway display of at least some mattresses so that you can better see the various types of construction within the mattress itself. This allows you to discover the difference between traditional inner spring coils, which include cushioning, gel or memory foam. The best way to find the right mattress for you is to spend time trying out each type. Don’t be embarrassed, our sales team wants each of our customers to try out a variety of mattresses so you can see and feel the difference to determine what best suits you. Between plush, euro top, firm and ultra firm, finding the best fit for you is important. Spend at least five minutes on each side and on your back (your stomach, too, if that's a preferred sleeping position). Twist and flip around. Make sure you won’t disturb your partner sleeping on the other side. Shoppers who spend time testing out the variety of mattresses rarely feel they chose the wrong bed. At Hennen Furniture, we do have a return policy for the variety of brands we carry. Discuss the options with a sales representative if you’d like extra assurance in your choice of mattress. These are traditional steel coils in various configurations and are often the least expensive. Variations include special layers of cushioning around each spring, some even infused with gel. Traditional innersprings with no additional layers of cushioning or individual pocket systems tend to wear out more quickly and can cause additional pressure points when no top padding is included in the make. Memory foam, which was developed to protect astronauts against g-forces, is basically polyurethane with additional ingredients. It has been a favorite for those who suffer from pain. A variation is latex foam, claimed to be hypoallergenic. Traditional memory foam softens when you lie on it and soon molds to your body. Once you get up, it springs back to its original shape. Make sure to talk with your sale representative about the pros and cons between the styles of each type of memory foam mattresses. 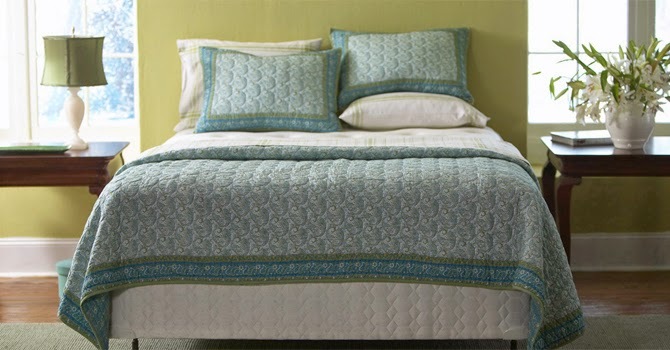 The use of carefully selected foams, in conjunction with tighter sewing patterns in the quilt helps to create this firm feel. Firm mattresses typically have a lower height than their plush, pillow top counterparts. A firm mattress offers optimal support, but they are designed to offer limited give. They do include a layer of cushioning, but are not as soft as other models like euro plush top. Plush beds are the middle ground within the spectrum of comfort options available in mattresses today. They typically contain one to four additional inches of foam over firm mattresses and can include a quilted sewn in top layer that can be made from a variety of materials including foam or fiber. Eurotop mattresses are the newest style in bedding. Their unique design allows manufacturers to increase the amount of padding placed on top of the mattress with a smoother top and squared edges, even compared to pillow top mattresses, thereby reducing pressure points and improving longevity. Hennen Furniture has a large selection of mattresses to choose from. Our mattress stock includes King Size, Queen Size, Full Size, Twin Size, Bunk Bed, Box Springs, and more. We have many mattress styles as well: pillow top, memory foam, firm, innerspring, adjustable beds, Euro Plush Tops and more. If you are looking for a mattress for your master bedroom, a mattress for your kids room, or a mattress for your guest room, Hennen is sure to have one in stock for you. Is it time to take a closer look at your mattress? If you can see any sagging or lumps, or an increase in sleepless nights, you know it’s time to visit Hennen Furniture to shop for your new mattress.